On August 2, 2018, the US Environmental Protection Agency (EPA) and the National Highway Safety Administration (NHTSA) jointly published the Safer Affordable Fuel-Efficient (SAFE) Vehicles Rule for Model Years 2021-2026. The Joint Notice of Proposed Rulemaking (NPRM) gave much-awaited guidance for future emissions and fuel economy regulation. In this series, CAR presents a multi-part review of key elements of the proposal and puts the possible outcomes into context. The NPRM included a 60-day comment period from the date entered into Federal Register (August 23, 2018), and posted to the regulator’s docket on August 24, 2018. The comment period included three public hearings and closed on October 26, 2018. EPA and NHTSA are to make a final ruling an “undetermined time” after the 60-day comment period ends. Many of the findings contradict, or at least are very different than, the Final Determination released by the EPA in early January 2017 just days before the end of the Obama administration. Not surprisingly, this NPRM has been met with disparate reaction from the spectrum of industry stakeholders. As with nearly all recent regulatory activity, the 2017-2025 emissions and fuel economy regulation has been extremely, and seemingly increasingly, politically charged. Widening partisan politics has made the creation of an effective and feasible regulation ever-more challenging. For the automotive industry, this increased uncertainty provides a great challenge. For the consumer, it presents the likelihood for great confusion and potential market disruptions. The effort to harmonize fuel economy and GHG emissions have further increased the challenge within the regulatory agencies. Under the previous administration, the EPA was closely aligned with California Air Resource Board (CARB), and likely had more power than NHTSA. There appears to be a significant shift of power from the EPA toward NHTSA under the Trump administrations. 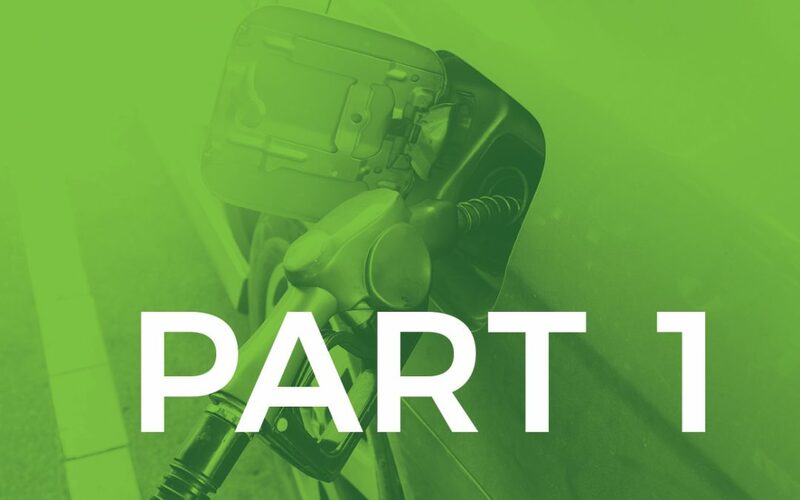 By way of the Energy Policy and Conservation Act (EPCA) of 1975, NHTSA is charged with determining the maximum feasible fuel economy through the Corporate Average Fuel Economy (CAFE). In deciding what may be feasible, the agency must consider technological feasibility, economic practicability, the effect of other motor vehicle standards of the Government on fuel economy, and the need of the nation to conserve energy. However, the interpretation of feasibility can be dependent upon values placed on those variables. CAFE was developed in large part as a response to the 1973 Oil Embargo, as a means to reduced payments to foreign oil-producing countries (balance of payments) and subsequent shortages. The NPRM spends very little time addressing the impact of the proposed regulation on climate change. However, noting that according to their analysis, the benefits of lower cost to the consumer clearly outweigh any environmntal costs, the NPRM states, “Notwithstanding the fact that GHG emissions reductions would be lower (sic) under today’s proposal than for the existing EPA standards, in light of the new assessment indicating higher vehicle costs and associated impacts on consumers, and safety impacts, the Administrator believes from a cost/benefit perspective that the foregone GHG emission reduction benefits from the proposed standards are warranted. In conclusion, the NPRM summarizes the impact of the regulation on climate change by saying, “NHTSA’s Environmental Impact Statement performed for this rulemaking shows that the preferred alternative would result in 3/1,000ths of a degree Celsius increase in global average temperatures by 2100, relative to the standards finalized in 2012.” Further, the NPRM does not account for impact of GHG beyond the U.S. borders. The balance between consumer choice, market forces and the environment impact remains an important challenge for regulators. With the 2018 NPRM, the administration has taken a diametrically opposed stance than the previous administration. For vehicle manufacturers, this change may offer the possibility of relief in meeting regulation that many consumers do not appear to value. However, it also creates challenges in balancing global product strategies as other regions continue to tighten GHG regulation. Section V of the NPRM describes the energy and environmental drivers considered for the NPRM. Including oil availability and environmental impacts.